Maggie Pill Mysteries: Comments? Suggestions? There are things to fix. 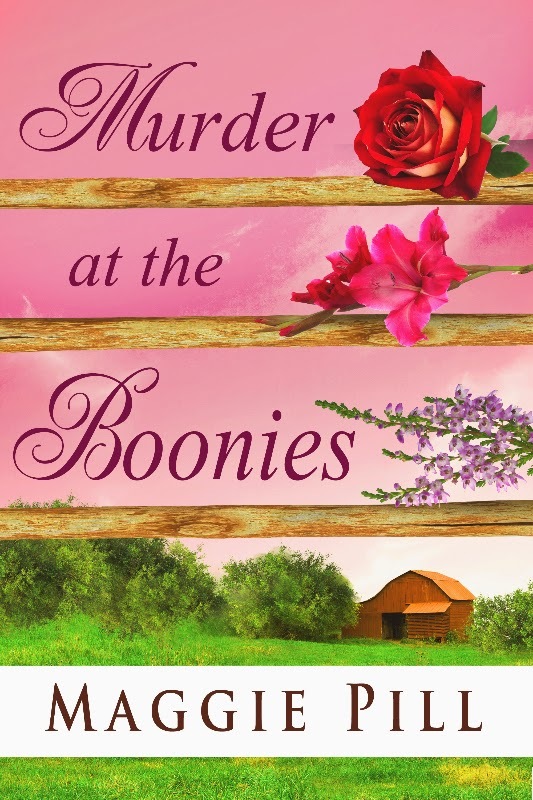 It needs the subtitle: A Sleuth Sisters Mystery, which will probably go in the bushes. 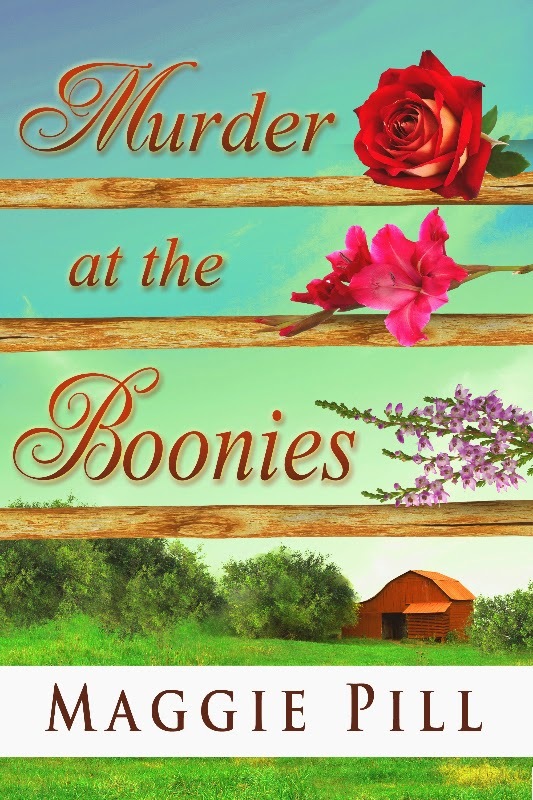 It's Murder IN the Boonies, and I want the 2nd & 3rd flowers on the rail, not floating above it. But it's a good start, and I'm interested in your impressions. Pink? Greenish? BTW, the flowers represent our girls: a rose for Retta, gladiolus for Barb (symbolize integrity) and lavender for Faye (devotion). The blue green shows the flowers better than the other one, so I like that one. I like the blue green.